We all know that healthy eating and exercise are essential to good health, especially during pregnancy. Ensuring your body gets proper nutrition means your growing baby will too. However, when it comes to exercise and working out, some new mommies-to-be get nervous or feel very apprehensive about continuing with their regular routine. 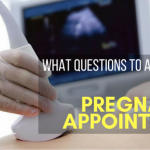 Of course, it’s always best to talk to your doctor about your particular situation but for the most part, continuing to stay active during pregnancy will only benefit you and your baby. 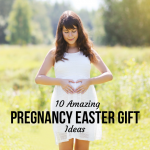 One activity that is super fun and gets you moving is dancing while pregnant. You can enjoy this fun activity while reaping these unexpected benefits as well! Can Dancing While Pregnant Hurt the Baby? 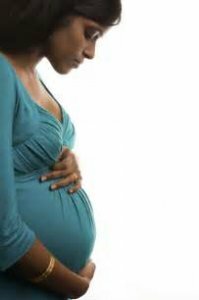 Before you learn the benefits of dancing during pregnancy, you may be questioning the safety to your unborn child. Some women have asked, “Can dancing cause miscarriage?” and the short, simple answer is no. However, because every woman has different needs and every pregnancy is different, your own doctor is the best source to ask before you start off on any exercise regime. 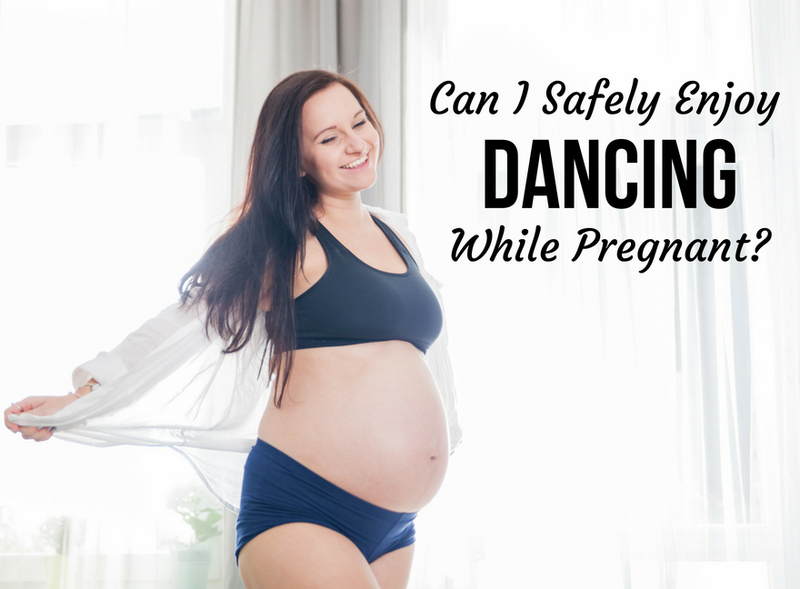 If you are considered high risk, dancing in pregnancy may be off the table for you. For the most part though, dancing through pregnancy is not dangerous to you or your growing wee one. You may wonder how in the world you can belly dance when you have an ever-growing baby bump to accommodate. The fact is, belly dancing during pregnancy has been practiced since ancient times. You may be concerned asking, “Is belly dancing safe during pregnancy though?” and the answer is yes, for most women. As always, check with your doctor first before taking part. Loosens pelvic joints and muscles in preparation for the big day! In some cultures, belly dancing is connected with the act of giving birth. Some women see this form of dancing as designed for women who are laboring. The slow, deliberate movements are natural and soothing for areas of the body often under stress during the birthing process. There are documented cases from the 1960’s and 70’s of women, who were part of a belly dance ritual where they were surrounded by women using belly dance movements to encourage along the birth. 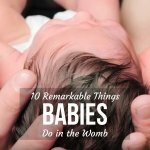 This helped the laboring woman to perform the same actions and calmly assist the baby into the world. These rituals aren’t practiced anymore, but the benefit is not to be ignored. Most local municipalities have exercise classes offered through the recreation department. Some of these classes may even be geared specifically towards expecting mothers. There may be some pregnancy dance workout routines that are not suitable for you, which is why it is smart to ask your healthcare provider first before signing up. You wouldn’t want to waste your money by signing up only to find out the class isn’t right for you. 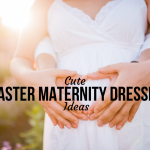 As a pregnant woman, you will want to look for certain kinds of classes that will work well during all stages of your pregnancy, barring any complications of course. 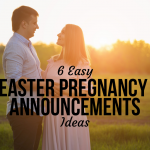 There are some types, which probably won’t work for most expectant mothers unless you have already been actively taking part in them before getting pregnant. These include kickboxing, boot camp type classes or extreme weight lifting. However, there are many kinds available which are suitable for mothers-to-be and can be modified as needed. Zumba is a fast-growing, newly popular aerobic program which involves Latin American dance moves performed to Latin music. The participants enjoy it because it doesn’t feel too much like exercise, but more dancing. It is fast-paced and will surely get your heart pumping! Many local fitness studios are now offering prenatal Zumba classes which are modified to cater to expectant moms. The dance moves may be a little less intense with fewer jumps, kicks or twists. However, if your local studio doesn’t have a prenatal Zumba class, you can still take part in a regular class. Speak to your doctor first of course, and with the instructor, so he/she is aware. 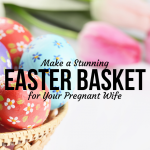 You can alter the moves to accommodate your growing baby bump. In fact, the American College of Obstetricians and Gynecologists has no specific limit on heart rate. Only pregnant women should exercise about 30 minutes per day according to their own fitness levels and specific medical situation. Much like Zumba, hip-hop dancing is fast-paced and very fun. Even if you aren’t a trained dancer, the music will make you want to get up and move. Hip-hop dance moves are easily modified so that you don’t necessarily need to find a prenatal hip hop class. It is important to try to avoid jumps or twists when you are in your second or third trimester to prevent injury to both yourself and your baby. Maybe fast-paced, heart-pounding music isn’t your thing. Perhaps you prefer something a little more laid back and yet still fun. You could try your skill at country line dancing classes. The moves are usually steady and slow, therefore no real harm to you or your growing baby. If any moves make you feel uncomfortable or seem to strain your tummy muscles, skip those or modify them to something lower key. The point is, you are having fun and exercising! Dancing while pregnant doesn’t have to be fast-paced and sweat-inducing all the time. 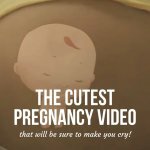 There comes a point in pregnancy where many women are done with being pregnant and just want to meet their little one. 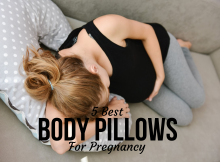 Afterall, it is exhausting carrying around that big baby bump, having restless, uncomfortable sleep, pressure on all of your organs–especially your bladder as you head to the bathroom ten times more than anyone. 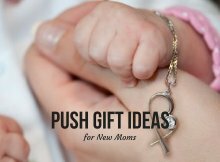 If you have reached your due date or even gone beyond, you may be ready to look at natural, safe ways to get things moving along. One method you can quickly try is a labor-inducing dance. 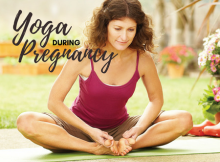 While there may not be a particular pregnancy dance to induce labor, the key is to use your hips in the movements. Swaying them side to side, softly of course to avoid injury, will help move baby downwards into the birthing position. There is a famous yoga dance to induce labor which women are passing around to each other. Check out this video tutorial on how to do this yoga dance in the comfort of your own living room if you choose. Before you partake in any physical activity while you are pregnant, consult with your healthcare provider to make sure the activity is suitable for your particular situation. 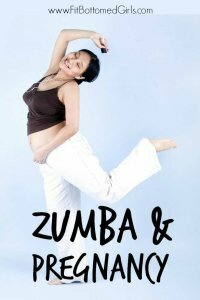 For the most part, you can safely dance while pregnant since there are so many great benefits to enjoy. It promotes reduced stress, staying fit and promoting a positive self-image. 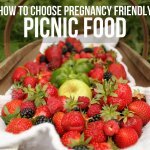 As your baby bump grows and changes your center of gravity, you will have to make modifications to the moves and routines you are involved in, but staying active and enjoying yourself is essential to good overall health and can even help you through the birthing process when the delivery day rolls around.